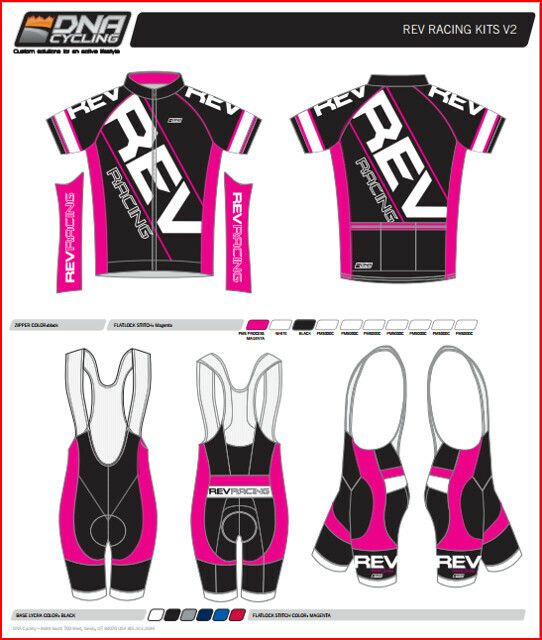 As promised, Todd Brown of Go Todd Brown, delivered the first mock-ups of the REV Endurance Cycling Team to me today. Todd turned this around in fewer than three business days!! Please feel free to provide me with your feedback. Why pink? My mom died from breast cancer. I also want a kit that stands out in the sea of black, white and red kits. I have other thoughts for kits. 1. Individualized and structured coaching programs for the 2013 for a select few athletes – applications are being accepted now. Your 2013 season starts in the winter of 2012! Let’s keep in mind what REV Endurance Cycling Team is all about – it is a cycling organization focused on developing the next generation of endurance cyclists. It’s more of a development team than a racing team. REV will take the “couch potatoes” and coach and train them to complete their very first century. REV will take century riders and assist them in becoming brevet riders or double century riders. REV will prepare you for “the toughest 48 hours in sport”, the Furnace Creek 508.
hope to be able to do more doubles in the coming years ………….and get a chance for the 508! 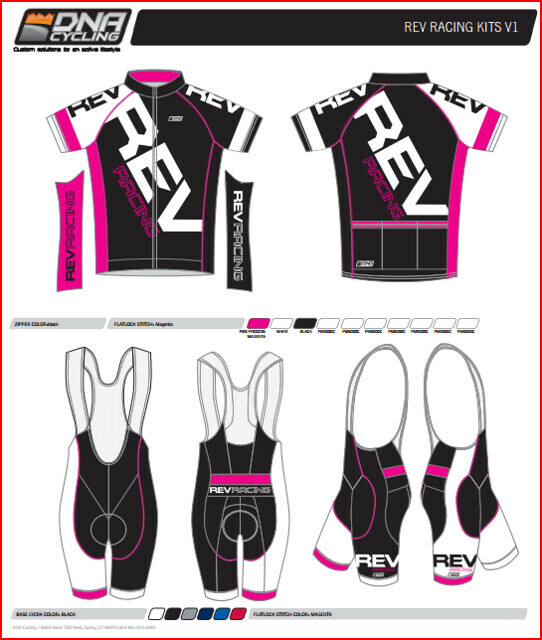 Are you interested in joining the REV Endurance Cycling Team? I provide coaching along with lots of pro deals on bikes, clothing and equipment. If you are not interested please pass my blog on to someone that might be interested. But if you are interested I need commitments and the kits paid for in full up front. Coaching is also available. I’m interested in the team. I got my first taste of a 200k and 300km audax ride here in the Philippines last year, and I also organized our own local 200km brevet (48 finishers). I will be organizing a simultaneous 200k brevet and double-century (320k) in March 2013 with the growing interest in ultra cycling in our area. Would like to know more on the financial commitments for joining the team, and price of the kit(s). Welcome to my blog and the formation of REV Endurance Cycling. I’m still working on the details but here are some rough numbers – the team membership will be $250 USD. It will include a jersey and bib short along with deep discounts on all of the items I listed on my post. The bike deal alone could save you thousands!! How many of your local circle do you think you can sign up? You could be my Philippines Chapter president. I need to get more motivated people like yourself spreading the Ultra gospil around the world. It sounds like you are the influential person out there organizing the events you mentioned. Will you help me grow another chapter? This is great george. Would welcome the REV Cycling team here in our corner of the world. I think we also have a few US based Filipino ultra distance cyclists who would be interested. Would be honored to be given the chance to work with you on this! Are you looking for this group to be local (San Diego area) people. Or are you open to people from points farther? Version 1 looks better than version 2, I understand the pink, but that’s a lot of pink! Thank you for your feedback. REV Cycling is a worldwide enterprise. There’s a club and team portion of this organization. I envision most of my team members will come from parts around the country and the world whereas my club members will be local and needing more coaching and group riding activities. I can tone down the pink and remove it from certain areas that’s not a problem I’m still working on all the sponsors so I don’t have all the logos on which will also reduce some of the pink real estate. Nice designs George. I would like the bibs on #2 if the colors were reversed. HI George, I love this idea and the pink is an awesome plus! Version 1 is my choice ( I voted) Wanting to get into the cycling world of centurys seems much less daunting with this team approach and greatly appreciated! Can’t wait to hear more about the details. Thank you for taking the time to read my blog. I appreciate your support for REV Endurance Cycling. Clothing orders need to be placed by January 5 so that you can be in your kit by March. I suggest you buy two kits because we won’t place an order for another three months with delivery another 6-8 weeks after that.